We are a premier developer and manager of Class A office space located in the Waterloo Region. Our properties, predominantly situated within Waterloo’s emerging IdeaQuarter, are built for sustainability using state of the art LEED building principles. They are perfectly suited to entrepreneurs, growing technology and professional services companies and are tailored to the needs of today’s millennial workforce. Our history in this community stretches back four decades, and over that time, our company has been responsible for the development and management of over two million square feet of space, earning an enviable reputation as one of the largest developers and managers of commercial, industrial and residential real estate in the Waterloo region. From spearheading the renaissance of Kitchener’s downtown core, to giving back to the community, to the creation of fresh collaborative workspaces for tomorrow’s leading tech firms, Cora Group has continuously played a pivotal role in creating Waterloo Region’s exciting commercial real estate landscape. Manfred Conrad is the President, CEO and founder of The Cora Group Inc. Born and raised in Germany, Manfred came to Canada in 1963. He established The Cora Group Inc. in 1978 and spearheaded it to become one of Waterloo Region’s largest commercial real estate development companies. Over his career, Manfred has developed over two million square feet of office space, primarily in the Kitchener downtown core, Waterloo and Sudbury. Manfred has served on many boards, including the Kitchener-Waterloo Symphony Orchestra, The Four Points Church, Realex Properties Corporation and Renison College Board of Governors. In addition to being a long-time supporter of the German-Canadian Business and Professional Association, past member of the Kitchener Downtown Business Association, founding member of Communitech (Waterloo Region’s Technology Association), and current member of Renison University College’s Board of Governors, Manfred also supports many initiatives and institutions within our community, including The Conrad Centre for Business, Entrepreneurship and Technology (University of Waterloo), The Manfred and Penny Conrad Institute for Music Therapy Research (Wilfred Laurier University), the Conrad Centre for the Performing Arts, HopeSpring Cancer Support Centre and Lisaard House. 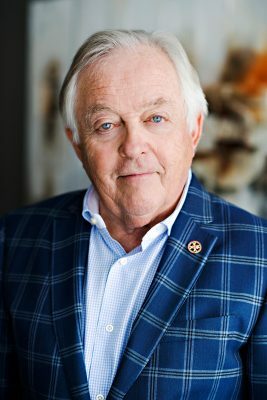 In 2009, Manfred received an honorary Doctor of Laws degree from the University of Waterloo for his outstanding business and philanthropic community leadership. In 2010, The University of Waterloo honoured Manfred Conrad and his family by naming the university’s business, entrepreneurship and technology centre The Conrad Centre for Business, Entrepreneurship and Technology (CBET). With the Conrad Family’s continued support CBET is on track to become one of the nation’s premier graduate schools focusing on entrepreneurship. In addition to being a generous supporter of CBET, Manfred also serves on CBET’s Advisory Council and the Development Committee. In 2013, Renison University College inducted Manfred as an Honorary Senior Fellow, in recognition of his work in the spirit of volunteerism, service and the community. 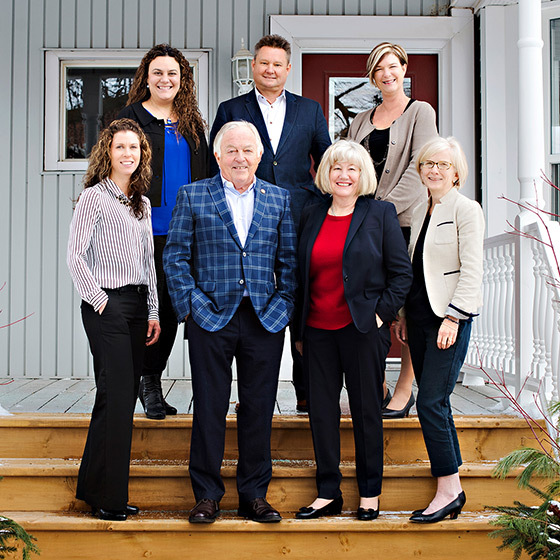 In 2015, Manfred was inducted into the Waterloo Region Entrepreneur Hall of Fame, in recognition of the positive impact that his business excellence has had on the community and economy in the Region of Waterloo. In 2016, the Conrad Family received the ‘Friend of the Faculty Award’ from the University of Waterloo in recognition of their support to the University of Waterloo and the Faculty of Engineering. 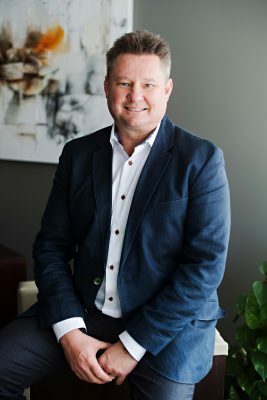 Adrian Conrad’s business and financial acumen coupled with project management knowledge makes Adrian a discerning commercial developer and a natural partner at The Cora Group. He is passionate about preserving our environment for future generations and a strong proponent of LEED and sustainable development. Adrian has extensive experience in commercial development and leasing for small and large tenant needs, and over his career, has overseen the development or leasing of more than 2 million square feet of office space within Waterloo Region. He continues to spearhead the creation of premiere, sustainable Class A office spaces tailored to the needs of technology and professional service firms. Cora Group’s portfolio of sustainable properties, located within David Johnson Research + Technology Park in Waterloo’s IdeaQuarter, are among the Region’s most prestigious Class A office locations. Adrian holds a Bachelor of Mathematics from the University of Waterloo and a Masters of Business Administration from Queens University. The Cora Group is committed to long-term success through on-going, expert property Management. Backed by over 25 years of experience, the property management department of The Cora Group Inc. is highly regarded for providing a level of service excellence unsurpassed by other management companies. Believing that close involvement in the areas of preventative maintenance, building systems, operations and tenant relations are vital, our property management is focused on efficient management through careful planning and budgeting, strict control of expenditures and daily attention to tenants’ needs. All of this contributes to creating an environment that offers the best services and facilities in the market, while fostering a strong sense of pride among its tenants. 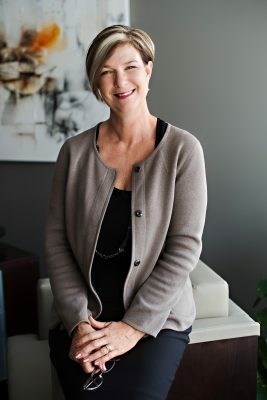 Overseeing Cora Group’s commercial property management services, Kathleen Walsh is a realtor and Registered Condominium Manager of Ontario, with detailed knowledge of the Condominium Act, budgeting process, human resources and physical building operations. She brings to every Cora Group client a strong commitment to customer service and satisfaction, building aesthetics and operations and contractor relations. Kathleen also serves as Cora Group’s representative on the “Green Team” for the David Johnston Research + Technology Park. Kathleen holds a double major from University of Guelph. For Property Management related issues, or if you would like a quote on the management of your portfolio, please contact Kathleen. 1997Cora Group joins other community leaders to found Communitech. 2001Cora Group receives the Business Leadership Award for contributions to downtown Kitchener by the Downtown Kitchener Business Association. 2005Cora Group builds the Accelerator Building within the David Johnson Research + Technology Park, paving the way for the world-recognized Waterloo Accelerator Centre. 2010The University of Waterloo’s business, entrepreneurship and technology centre is named the Conrad Centre for Business Entrepreneurship and Technology. Wilfred Laurier unveils the newly named Manfred and Penny Conrad Institute for Music Therapy Research. 2011innoTECH Building at 300 Hagey Boulevard receives LEED Canada Gold Rating for New Construction and is also recipient of City of Waterloo Urban Design Award. It is Southwestern Ontario's first LEED multi-tenant office building. 2013Manfred Conrad inducted as an Honorary Senior Fellow by Renison College in recognition of his spirit of volunteerism and service in the community. 2015Manfred Conrad is inducted into the Waterloo Region Entrepreneur Hall of Fame. The CORA Building at 375 Hagey Boulevard receives LEED Canada Gold Rating for New Construction. 2016The IdeaQuarter is born. The Cora Group is a founding member. Manfred Conrad is appointed Chancellor of Renison University College at the University of Waterloo. Adrian Conrad appointed Chief Operating Officer of the Cora Group. 2018evolv1, Cora's latest building project at 420 Wes Graham Way, set to open its doors.